Places where Sebastian and Vero Beach residents can celebrate Valentine's Day in Indian River County. SEBASTIAN – We selected a few restaurants near the water for residents living in Vero Beach and Sebastian to have dinner on Valentine’s Day. Make sure you make reservations because these Indian River County restaurants will be busy on Tuesday. Tiki Bar & Grill – 1130 Indian River Drive in Sebastian. Enjoy a beautiful view and dinner for two for $25.00 from 5-8 p.m. Includes your choice of shrimp scampi or chicken scampi. Call: 772-388-1080. Salty’s Bar & Grill – 1550 Indian River Drive in Sebastian. Offers Valentine’s dinner special with live Music from 5:30-8:30 p.m. Call: 772-581-8329. 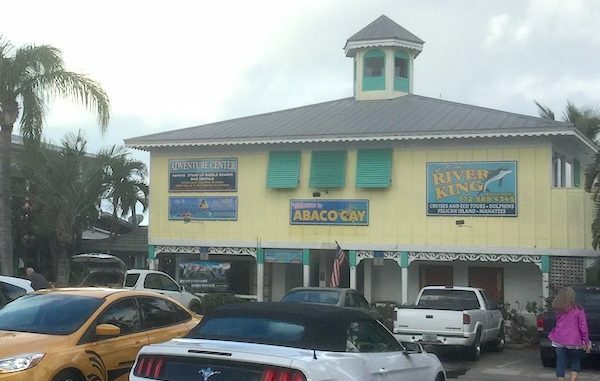 Blackfins River Front Grill (Captain Hiram’s) – 1606 Indian River Drive in Sebastian. Music by Iris playing inside the restaurant with a great menu. Reservations starting from 5:00 p.m. Call: 772-589-4345. Best Western Plus – 1655 U.S. Highway 1 in Sebastian. Offers a “KISS” Valentine’s Day package that includes a comfy room, welcome cocktail at Captain Hiram’s, Limo ride to Blackfins River Front Grill, and a $50 gift card for dinner. Price: $170 plus tax. Based on availability. Call: 772-589-4345. Mulligans – Both Sebastian and Vero locations. Great specials with a free Valentine’s treat with purchase. Call: 772-918-4844. Chubby Mullet – 8685 U.S. Highway 1 in Micco (north Sebastian). Surf & Turf Dinner for Two $59. Regular m also available. Reservations Recommended. Call: 772-228-8265. If you’re looking to do something other than dinner, then there are places in town running drink specials. Happy Valentine’s Day to you and your loved one.